I’ve been doing some R&D of my own. In particular, researching how technology has disrupted other industries to extrapolate lessons for the insurance industry. And I made a personal discovery – that it’s not technology itself that disrupts. It’s the inability or unwillingness of established providers to implement the new business models that technology enables that fosters disruption. These new models usually provide clear benefits to customers and if you don’t adopt them, you leave the door wide open to those who do. · Netflix did not kill Blockbuster – ridiculous late return penalties did. Please don’t give up at this point, this is not just another article putting the boot into the insurance industry. It’s much more about identifying the real problems that need to be fixed before someone else does it for us. Let me give you some examples of this issue based on my recent personal experience promoting the benefits of IoT data in the provision of commercial property insurance. The aggregation and analysis of data from IoT devices in commercial property can be used to provide better risk management, risk mitigation through earlier intervention, assess the quality of facilities management, thereby reduce losses, improve the quality of the risk and substantially improve on the current commercial property insurance proposition. Does any one benefit? Um, yes – the customer – the owner of the property! They would get a better managed building, lower deductibles, lower premiums, fewer small losses, less impactful big losses, less disruption and happier tenants. Incredibly, that does not seem to move the dial as far as insurance providers are concerned. I don’t think I’m telling you anything new. There’s been evidence of a lack of customer care for years now. As buyers of household and motor policies we all know that the one bit of information we want at annual renewal was last years premium to compare against the renewal terms on offer, but insurers wouldn’t provide it and resisted for a long time. Why? Because they were hooked on dual pricing (ripping off loyal customers) – what Ian Hughes, CEO of Consumer Intelligence likened to “crack cocaine – once you get on to it and used to it, it’s nearly impossible to wean yourself off it.” This practice has become so bad that the Citizens Advice Bureau has made a super complaint to the Competition and Markets Authority, who together with the FCA are now belatedly investigating. Most industries reward their loyal customers! When was the last time your or any insurance company made you a special offer, provided a discount, rewarded you for loyalty, made you feel prized? Before you shout “Vitality” and discounted gym membership, that’s more of a brilliant marketing scheme to win new business than a reward for loyalty and it’s working like a dream because it’s something in a world that usually offers nothing . Insurers standing with customers is now so low that several of the biggest brands in the industry have taken to putting out expensive adverts saying that they pay their claims – Zurich paid out 99% of claims made -presumably the 1% were not valid claims. This is a bit like selling a car and saying it goes forward and backwards, or selling food and saying you can eat it. It comes to something when your marketing has to endorse the fact that your product actually does do what it says on the tin. Has it really come to that? So what’s the problem? Why are insurers falling so short on customer care and expectations? Second, so many of the ways in which insurers could improve their offering relate to the use and handling of data and insurance where insurance is way off the pace. Dependence on legacy technology stacks, inefficient and non transparent distribution models, a lack of willingness to invest in new technologies mean others are winning, or have even won, the battle to use data to understand customers better and therefore the ability to deliver them what what they want. There’s good and bad news. First, there are encouraging signs that these issues are and can be fixed. The bad news is that it’s usually not insurers that are doing it. The Maersk/Insurewave story is instructive. Maersk, the biggest container shipper in the world was fed up with the quality of service it received from its brokers and insurers where the transaction was still largely paper based and where confirmation of cover was often received after the voyage was complete! After their demands for improvements fell on deaf ears, they decided to build the next generation cargo insurance platform on the blockchain with Microsoft and Guardtime. Sure, their insurers are involved, but they did’t have any choice! So, what’s at stake here? Certainly not the future of insurance. There will always be demand for products that spread or transfer risk. The capitalist system depends on it. What’s at stake is the ownership of the customer. While insurers continue to provide a last millennium service model falling ever further behind what can or should be done in terms of meeting customer expectations, others will move in and fill the breach. Motor manufacturers will sell insurance to their customers at source using the latest UBI models, Xero and Sage will sell insurance to their SME business users using real time data from their accounting systems, Amazon will sell insurance for high value goods at point of sale and WeWorks rental deposit insurance to their tenants. Sure, insurers will probably provide the regulatory risk capital and pricing for each of these products, but the customer relationship and the data that goes with that – the stuff that insurers need to fulfil their role – will be owned by someone else. If I’m right, then unless the insurance industry pulls its collective finger out pretty soon it will be left to provide only the role that no-one else wants! The highly regulated, capital intensive, commodity bit that requires scale and will be increasingly threatened by other smarter more nimble sources of capital. To make matters worse, after a couple of cosy years of “partnership” between innovators and incumbents, disruption is once again in the air because it’s becoming clear that insurers will not work with InsurTechs to do anything truly disruptive. They just want to adopt InsurTech solutions that help them solve fringe problems around new product development, distribution and pricing. It’s not too late, but as members of Alcoholics Anonymous all know, you have to realise you have a problem and want to fix it before you can sort your self out. 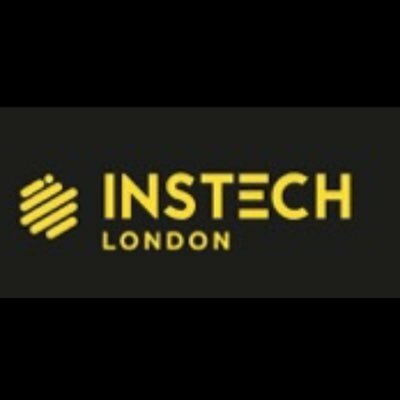 On 30th October 2018 we at InsTech London are hosting a debate involving many of the finest minds in InsurTech in London. One of the topics will be “Who Will Own the Future of Insurance.” I for one am greatly looking forward to it. If you’re young and in insurance now and looking for a long and successful career in a customer facing role, might be worth coming along. I think you might get some brilliant insights into where to place your future employment bets. Thanks to disruptive innovations in other sectors, there are lots of new job opportunities out there. Uber driver? Selling records on a market stall? Anyone?